Directed by Michael Arias. Japan. 2006. 110 min. Japanese with English subtitles. 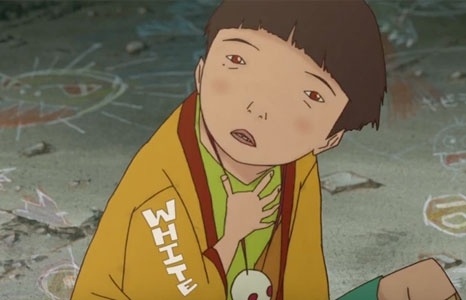 We celebrate the tenth anniversary of the iconic anime film Tekkonkinkreet, based on a popular Japanese manga by Taiyo Matsumoto, with this screening. In Treasure Town, where the moon smiles and young boys can fly, life can be gentle and brutal. This is never truer than for our heroes, Black and White, two street urchins who watch over the city, doing battle with old-world Yakuza and alien assassins vying to rule the decaying metropolis.